In a world first, a team of researchers at the Krembil Neuroscience Centre and the University Health Network have shown that Deep Brain Stimulation (DBS) in patients with chronic, severe and treatment-resistant Anorexia Nervosa (anorexia) helps some patients achieve and maintain improvements in body weight, mood, and anxiety. The results of this trial, entitled Deep Brain Stimulation of the Subcallosal Cingulate Area for Treatment-Refractory Anorexia Nervosa: A Phase I Pilot Trial, are published today in the medical journal The Lancet. The study is a collaboration between lead author Dr. Nir Lipsman a neurosurgery resident at the University of Toronto and PhD student at the Krembil Neuroscience Centre; Dr. Andres Lozano, a neurosurgeon, at the Krembil Neuroscience Centre of Toronto Western Hospital and a professor and chairman of neurosurgery at the University of Toronto, whose research lab was instrumental in conducting the DBS research; and Dr. Blake Woodside, medical director of Canada’s largest eating disorders program at Toronto General Hospital and a professor of psychiatry at the University of Toronto. The phase one safety trial investigated the procedure in six patients who would likely continue with a chronic illness and/or die a premature death because of the severity of their condition. The study’s participants had an average age of 38, and a mean duration of illness of 18 years. In addition to the anorexia, all patients, except one, also suffered from psychiatric conditions such as major depressive disorder and obsessive-compulsive disorder. At the time of the study, all patients currently, or had previously, suffered multiple medical complications related to their anorexia – altogether, the six patients had a history of close to 50 hospitalizations during their illnesses. Study participants were treated with Deep Brain Stimulation (DBS), a neurosurgical procedure that moderates the activity of dysfunctional brain circuits. Neuroimaging has shown that there are both structural and functional differences between anorexia patients and healthy controls in brain circuits which regulate mood, anxiety, reward and body-perception. Patients were awake when they underwent the procedure which implanted electrodes into a specific part of the brain involved with emotion, and found to be highly important in disorders such as depression. During the procedure, each electrode contact was stimulated to look for patient response of changes in mood, anxiety or adverse effects. 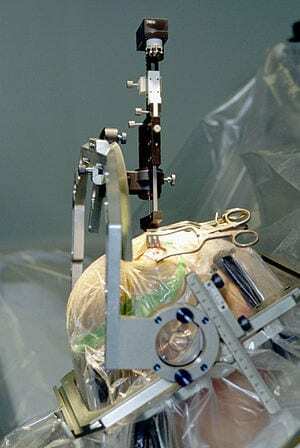 Once implanted, the electrodes were connected to an implanted pulse generator below the right clavicle, much like a heart pacemaker. Testing of patients was repeated at one, three, and six-month intervals after activation of the pulse generator device. After a nine-month period following surgery, the team observed that three of the six patients had achieved weight gain which was defined as a body-mass index (BMI) significantly greater than ever experienced by the patients. For these patients, this was the longest period of sustained weight gain since the onset of their illness. Furthermore, four of the six patients also experienced simultaneous changes in mood, anxiety, control over emotional responses, urges to binge and purge and other symptoms related to anorexia, such as obsessions and compulsions. As a result of these changes, two of these patients completed an inpatient eating disorders program for the first time in the course of their illness.